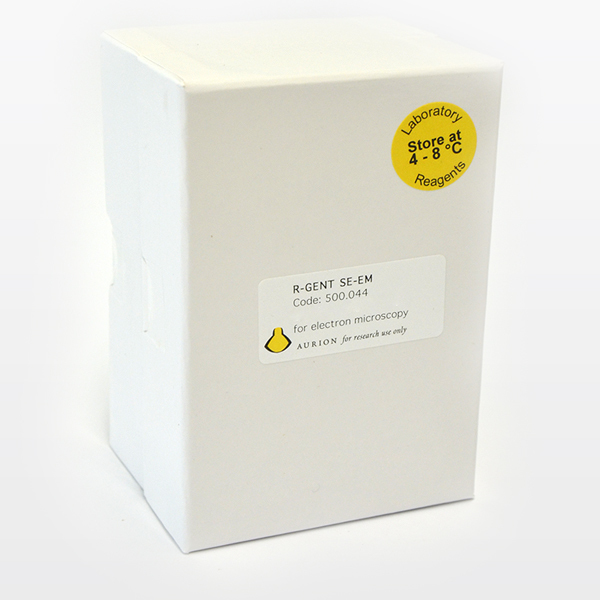 AURION R-Gent SE-EM is a high efficiency silver enhancement reagent for electron microscopy. It intensifies the gold particles by homogeneous deposition of metallic silver on the particle surface. The resulting electron dense signal is easily detected and is compatible with heavy metal counterstaining. 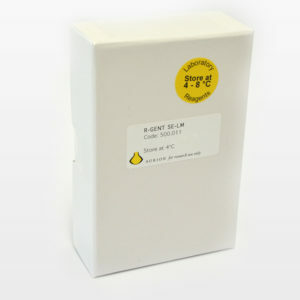 The reagent has extremely delayed auto-nucleation and can be used under standard laboratory light conditions. 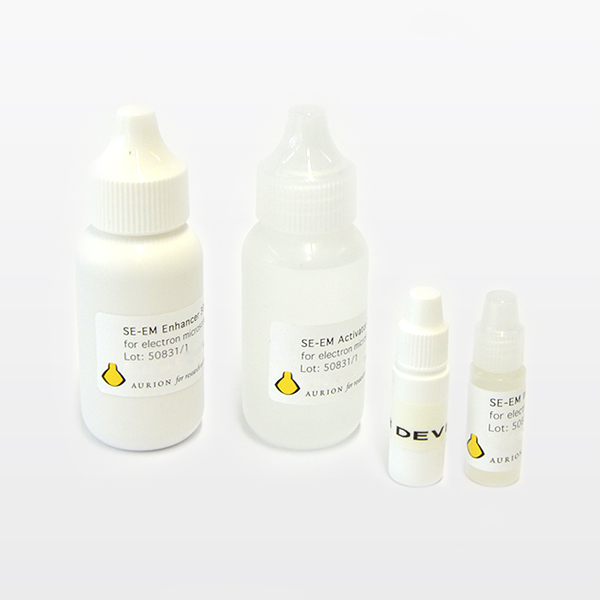 It also has low viscosity, which is especially advantageous for pre-embedding immunogold applications. The enhancement mixture has a pH of 8.1-8.2. 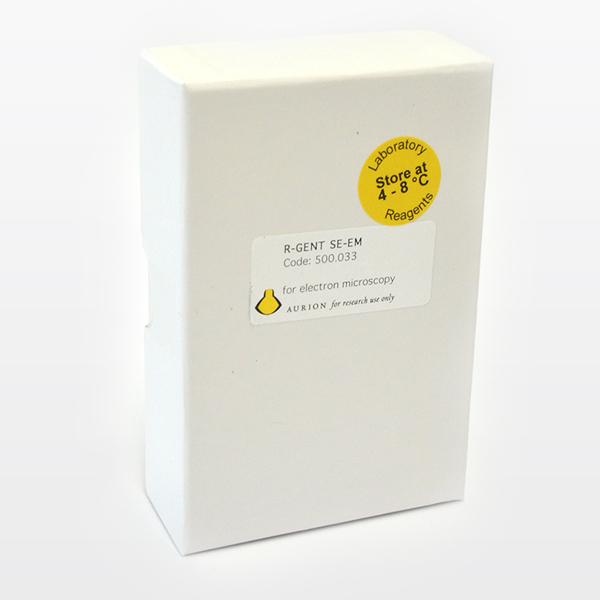 AURION R-Gent SE-EM has been tested intensively for the enhancement of AURION Ultra Small Immunogold reagents. 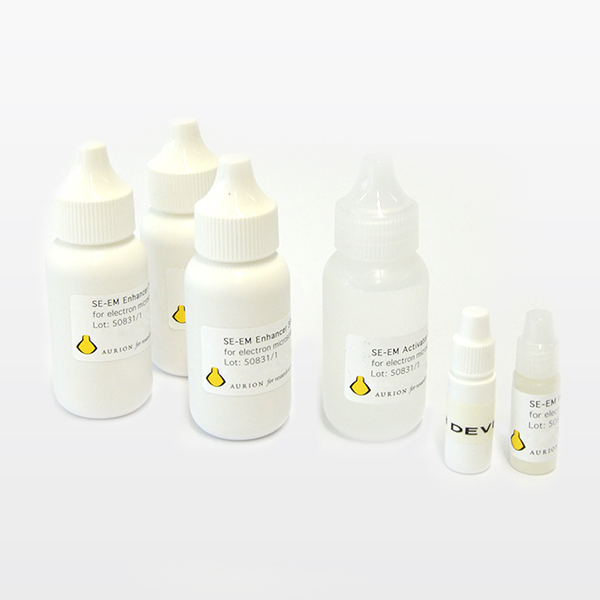 The INITIATOR is a concentrated solution which must be diluted and activated before use, using the ACTIVATOR. This resulting mixture is the DEVELOPER. The now ready-to-use DEVELOPER has a shelf life of one month. It is suggested to prepare fresh DEVELOPER at least every month. The undiluted solutions have a shelf life of 10 months when stored at 4°C. INITIATOR can be stored at -20°C for prolonged shelf life. For enhancement 1-2 drops of DEVELOPER are mixed with 20 drops of ENHANCER. The typical enhancement time is between 20 and 40 minutes. Specimens may be contrasted according to standard procedures. The kit with 30 ml of ENHANCER accomodates up to 1000 EM grid specimens. 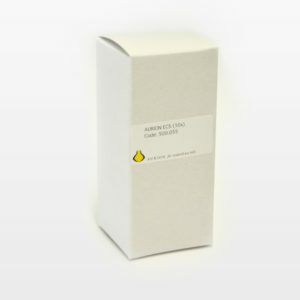 The kit with 90 ml of ENHANCER is suitable for pre-embedding immunogold labeling; the number of specimens it accomodates depends on the volume of reagent used per specimen. For each lot, the specific enhancement activity and level of autonucleation are monitored by spectrophotometric techniques.